Profiles International has a powerful assessment system to give you answers. 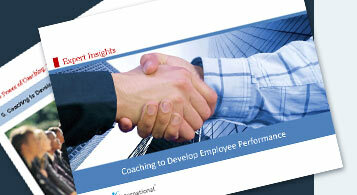 The PROFILES PERFORMANCE INDICATOR™ is a DISC-oriented assessment system. Research has shown that behavioral characteristics can be grouped together in four major divisions or styles. People with similar styles tend to exhibit specific behavioural characteristics common to that style. All people share these four styles in varying degrees of intensity. The acronym DISC stands for the four personality styles represented by the letters: D (Drive), I (Influence), S (Steadiness), and C (Compliance). PROFILES PERFORMANCE INDICATOR™ provides management with information they can use to individualize training and motivational efforts, and communicate more effectively with the people they lead. It provides feedback to help your organization build productive teams, develop effective managers, train a powerful sales force, improve customer service, and ease frustrations and interpersonal conflict.